Take some slices of Cucumber and potato and mix them well in a grinder to make a thick paste. Apply this paste under your eyes for 15-20 minutes then rinse off with ice cold water because ice cold water also help to reduce puffiness under eyes. Make a paste of Turmeric powder, tomato juice and lemon juice. Now apply this paste around your eyes. After 15 minutes rinse off with ice cold water. This home remedy is considered very effective in curing eyes dark circles. You can also apply cold milk with help of cottons pads on closed eyes. Cold milk also help a lot in diminishing eyes dark circles. Take 2 cotton pads, dip them in cold milk and apply on your closed eyes for 15-20 minutes. 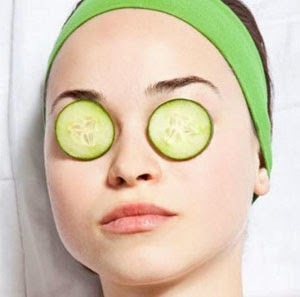 Apply 2 fresh and thin slices of cucumber on your closed eyes for 15-20 minutes to reduce dark circles.This home remedy is effective in treatment of tired and puffy eyes. To reduce eyes dark circles apply thin potato slices on your closed eyes for 15-20 and then wash your eyes with fresh water. The tannic acid present in apple can lighten the skin tone around your eyes. Besides this, water soluble vitamins B and C, as well as potassium present in apple give the required nourishment to the delicate skin around the eyes. 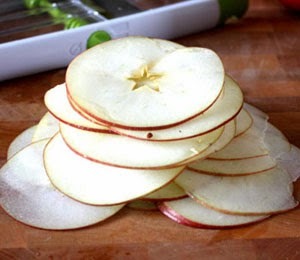 Take one ripe apple and cut it into thick pieces. 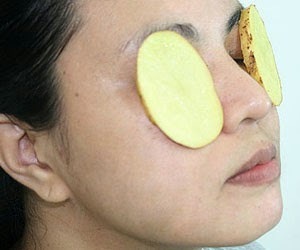 Put the apple slices under your eyes and leave it for about 15-20 and then wash the skin area with cold water. You can also apply the apple paste on your closed eyes and wash after same time. A Mixture of Almond Oil and honey has been shown very good results to remove eyes dark circles. For best results apply this mixture before going to sleep. 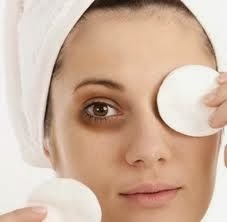 A mixture of orange juice and glycerine helps a lot in reducing dark circles around eye. You can prepare this mixture by taking equal amounts of orange juice and glycerine. Mix them well and apply some of the mixture on the affected area of the eyes for 15-20 minutes. 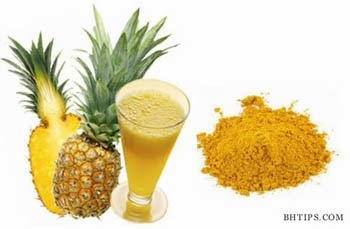 A mixture of turmeric powder and pineapple is also considered very effective in treating eyes dark circles. Apply a paste of turmeric powder with pineapple juice to cure dark circles under the eyes.Let it stay for 15-20 minutes and then wash with lukewarm water. 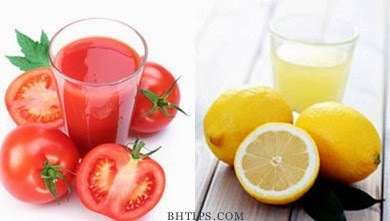 A mixture of Tomato and Lemon juice also helps a lot in reducing eyes dark circles. Take a teaspoon of tomato juice and mix it with one teaspoon of lemon juice. Apply this mixture on the dark circles and allow it to sit for 10-15 minutes and then wash with fresh water.